Trying to find a good Jeep dealer is a lot easier than you might think, especially if you live near Mansfield, Attleboro, or Norton. Our Jeep dealership offers an extensive inventory of the latest models. Looking for a specific color? We can help. Need a Jeep with off-roading capabilities? You can trust Station Chrysler Jeep to help you find the Jeep of your dreams. 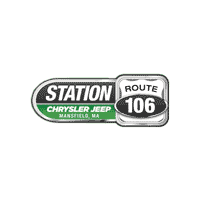 Station Chrysler Jeep is a Jeep dealer located at 91 Chauncy Street, Route 106 in Mansfield, MA. Specializing in new and used Jeep sales, you can also get expert Jeep repair and maintenance. Schedule your appointment online. Interested in learning more about our Jeep inventory without leaving your couch? You can browse our entire collection of Jeep vehicles online using our digital showroom. Refine your search by trim, color, price, and more to see only the models that interest you. Then, schedule a personal test drive to experience the Jeep in person. A pre-owned Jeep can offer a great value, but not if it’s three states away. Finding used Jeep models near you is as easy as heading to Station Chrysler Jeep of Mansfield. Our pre-owned inventory is always growing. Plus, as a designated Jeep dealer, we’re also able to provide you with certified pre-owned Jeep models. These used Jeep vehicles have undergone rigorous inspections to ensure their high quality. If you’re in the Mansfield, Attleboro, or Norton area, we invite you to visit Station Chrysler Jeep and explore our large inventory of new and used Jeep models. If you have any questions, we’ll be happy to help. We can walk you through the many options available and even discuss your financing options.